It’s light, warm, breathable, and it looks great. 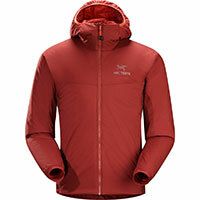 This becomes any climber’s go-to jacket for cool conditions. A mere 360 grams, it’s synthetic, which means it can go in the wash. The best bit? A helmet-compatible hood. Comes in men’s and women’s cuts, a non-hooded version, and lots of colours. 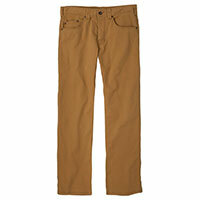 These pants do everything – the crag, the café… even the office. It’s made of canvas that’s tough, but stretchy. Which means it’s perfect for an impromptu boulder. Also comes in a version with longer leg length, for tall folks. 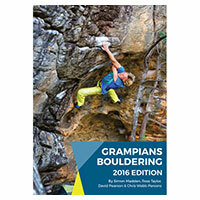 The slick-looking new edition of Grampians Bouldering, updated by the guys at Vertical Life magazine. They’ve doubled the number of problems, adding previously unpublished info on six new areas. Because you can never have too many chalk bags. Made in Natimuk, a stone’s throw from world-famous Mt Arapiles, every one of these is unique. See all our climbing gear here. At 142 grams, this GPS unit is roughly the weight of an iPhone 7. 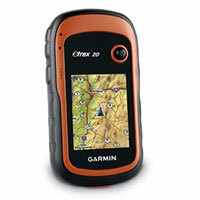 But, it’s tougher, waterproof and powered with widely available AA batteries. A GPS unit like this can be a handy back-up if you’re heading somewhere remote or you’re still developing your navigation skills. 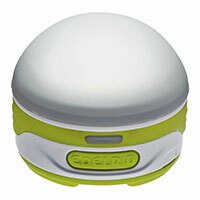 This 90-gram lantern comes with a carabiner, allowing you to hang this inside your tent. Better than a headtorch, because it disperses the light. Plus, you can set the brightness level. What do you do when you’re out camping, and the water source is a good 10-minute walk away? Ferry water bottles? Make multiple trips? 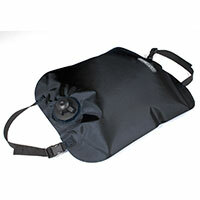 This water-carrying bag from Ortlieb is just 160 grams, and can help you transport larger quantities of water easily. With a party of four, with a 10L bag plus a few drink bottles, you could carry enough water to your campsite for dinner, soup, cups of tea and the next morning’s water. Socks are one of those things. Wear a new pair of socks on a hike, and it can make all the difference. These midweight Bridgedales have extra padding underfoot. 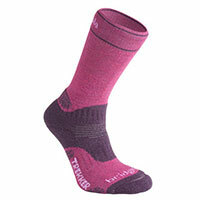 Made of a wool blend, these keep your feet warm and dry. It weighs next to nothing, but makes a heap of difference. Lay this down on a hard rock, and the Polystyrene foam not only makes the rock comfier – it also blocks out the cold. See all our bushwalking gear here. The go-to jacket for running. It’s light, but it can take a downpour. 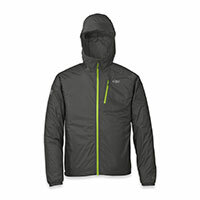 A waterproof jacket is on the Mandatory Gear List for most trail running events. At 180 grams, the Helium II is the perfect option. The HD version has pit zips for ventilation and wrist cinches to keep the weather out. When you need to carry essentials, but you still want to move freely. Includes a 250ml soft flask for electrolyte solutions, or your own mixed gels. 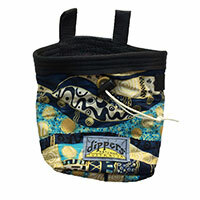 The Dippers Chalk Bag of the running world, these come in outrageous colours. They’re light, stretchy and slip over your shoes to keep trail debris out. Made by trail runners in Green Valley, Arizona. 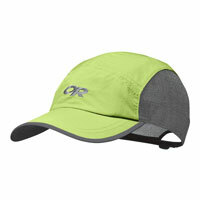 A super-lightweight, quick-drying cap with mesh sides for ventilation. The perfect hat for runners. 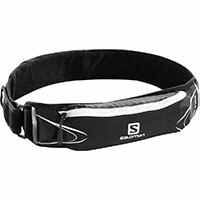 See all our trail running gear here. We can gift <a href=”https://www.ahmedabadgiftshop.com/”> Customized T-shirts </a> to rock climbers and also shoes, cap, Gloves and etc.